If you are engaged or happily married, the last thing you may want to discuss is the potential for divorce. Unfortunately, the fact is that the divorce rate is high in this country, and even the happiest couples often go through periods in their marriage which may challenge their relationship. During these times, a postnuptial agreement can help to ensure your property and future financial security are protected. Contributions and sacrifices each made to the marriage. A postnuptial agreement is similar to a premarital agreement, but is entered into once the spouses are legally married. 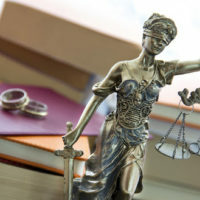 It will outline how property is to be divided between them, and will also outline what assets are non-marital property. This means that it was acquired prior to the marriage, and is not subject to Florida property division laws. According to an April 2017 report in Bloomberg News, increasing numbers of couples are seeking the help of an attorney to establish postnuptial agreements. There are two circumstances under which couples may want to consider a postnup: if they intended to enter into a premarital agreement prior to their marriage and simply did not get around to doing so, and if marital issues open the door to the chance of getting a divorce in the future. Terms for if adultery or other behaviors become an issue. To discuss whether a postnuptial agreement might be right in your situation, call or contact the Vanessa L. Prieto Law Offices, LLC online. We can arrange a consultation with our Fort Lauderdale family law attorney, who can advise you on the what to include, depending on your particular situation. Get the professional legal guidance you need to ensure your rights and interests are protected, and request a consultation today.